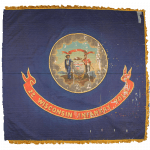 - Regiment Name : 2nd Wisconsin Volunteer Infantry Regiment "The Black Hats"
applying to your own thread ? Will this continue being updated? Yes. I typically like doing them in big batches instead of one at a time. Just waiting for a few more sign-ups and I'll add them all.